One of the first things on any couple’s wedding checklist once they get engaged is to find a wedding venue to hold their wedding at. Finding the right wedding venue is not an easy task, especially with all the options available for you out there. Every bride and groom wants the best wedding venue, whether it is a ballroom in a hotel or a banquet hall or a private residence, you shouldn’t settle for anything less within your budget. 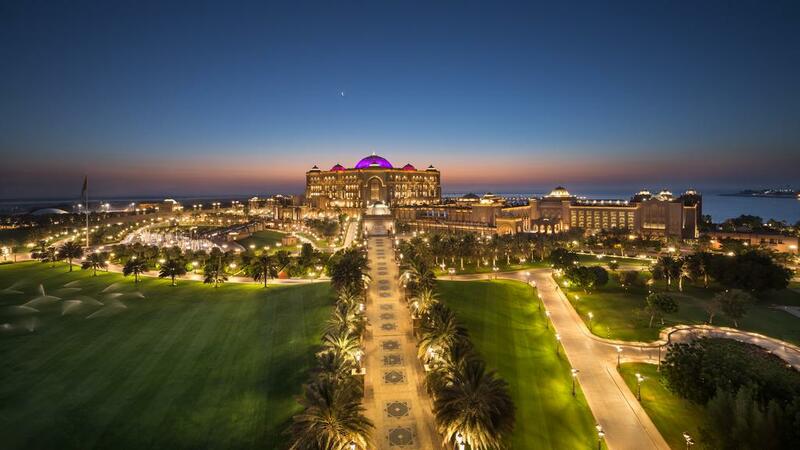 Every wedding is uniquely special, but an Emirates Palace wedding is exceptional. 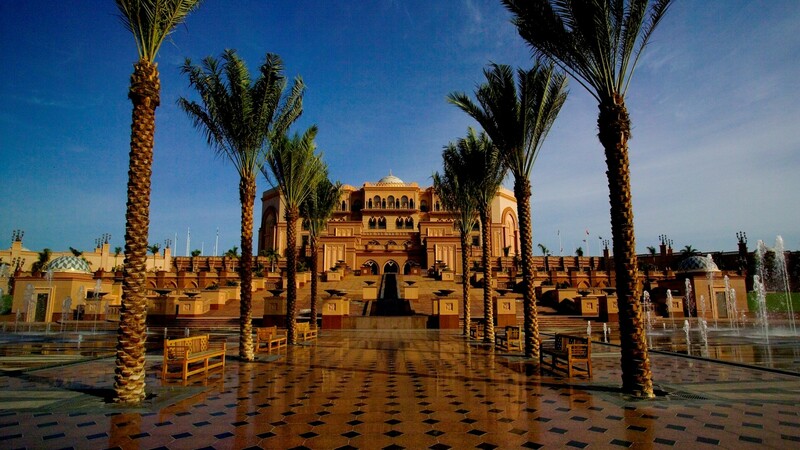 Picture a breathtaking ballroom ornate with marble and gold, blending timeless architectural features with modern design, or 85 hectares of manicured gardens and elegant terraces offering the most glamorous venues for weddings in the UAE. 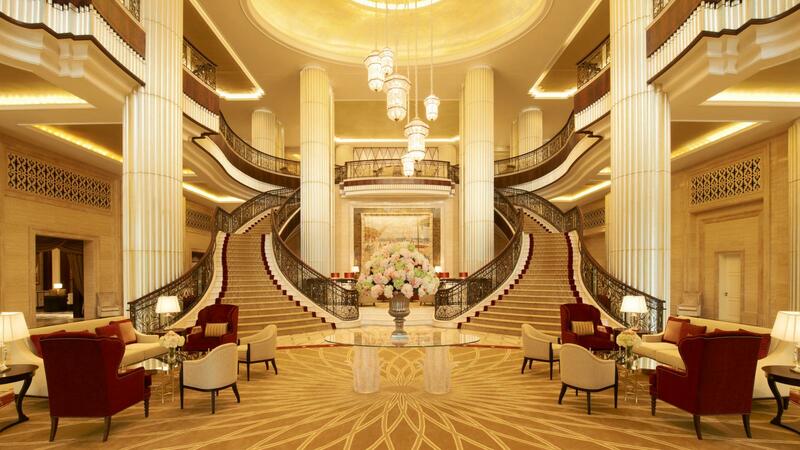 Jumeirah at Etihad Towers offers not only one of the largest event facilities in Abu Dhabi, but also one of the most impressive. Winner of ‘Middle East's Leading Wedding Venue 2012’ in the World Travel Awards, Jumeirah at Etihad Towers will surpass all your expectations. 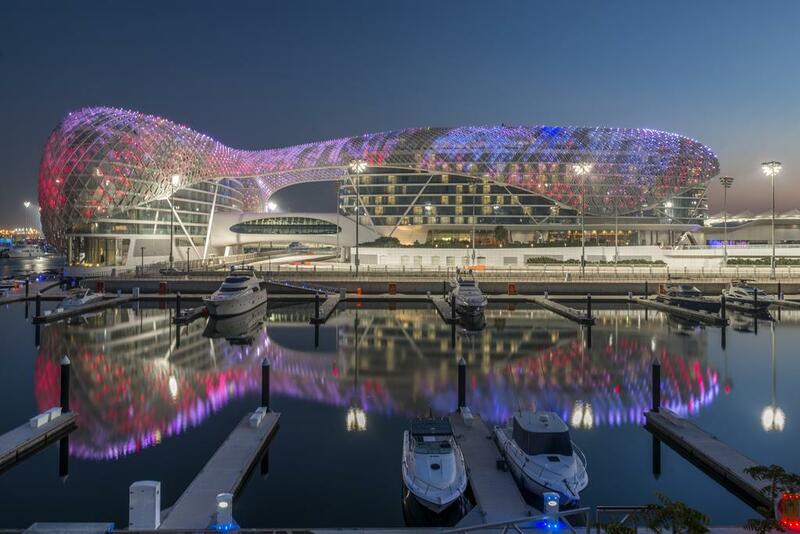 Yas Viceroy Abu Dhabi presents a sophisticated international choice for travelers in Abu Dhabi with a glamour-infused luxury Yas Island resort created for business and leisure pursuits in Abu Dhabi's entertainment island. At Park Hyatt Abu Dhabi Hotel and Villas, the professional team at The Hyatt will design a wedding celebration that perfectly reflects your own personal sense of style. 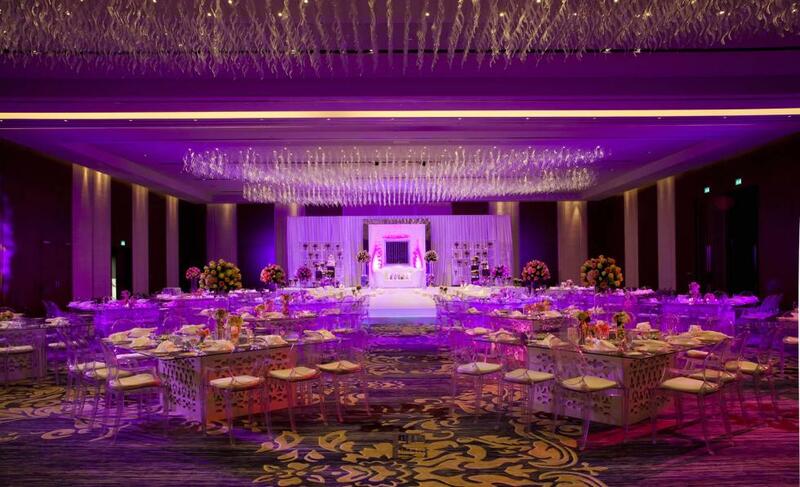 At The Hyatt wedding venue in Abu Dhabi, your celebration will be a truly signature affair. Picture a romantic sunset ceremony overlooking Saadiyat Beach, followed by a magnificent dinner dance reception in the Alyazya Ballroom. Welcome your guests with a cocktail, treat the bridal party to a day at the Atarmia Spa and plan a rehearsal dinner in one of their venues. 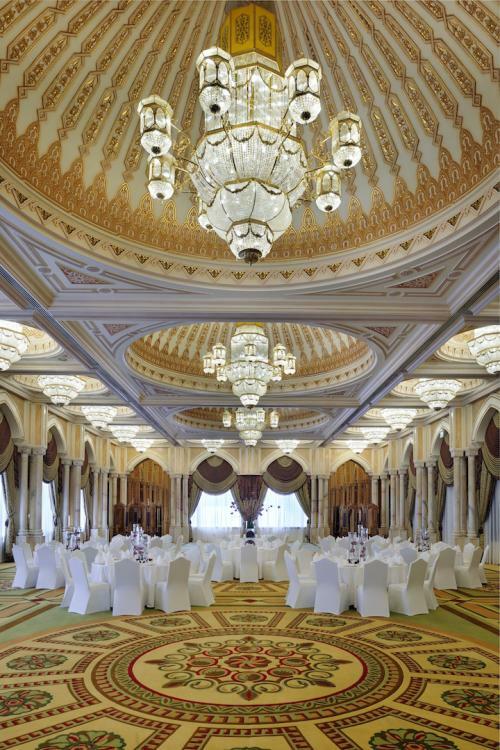 Weddings in Abu Dhabi held at the city’s The St. Regis Abu Dhabi are certain to be memorable, St.Regis’ majestic Al Mudhaif Ballroom offers you a luxurious venue for your wedding. Moreover, the St. Regis commitment to exceeding expectations guarantees a seamless affair, complete with a dedicated entrance, indoor parking, valet service, and an experienced staff. 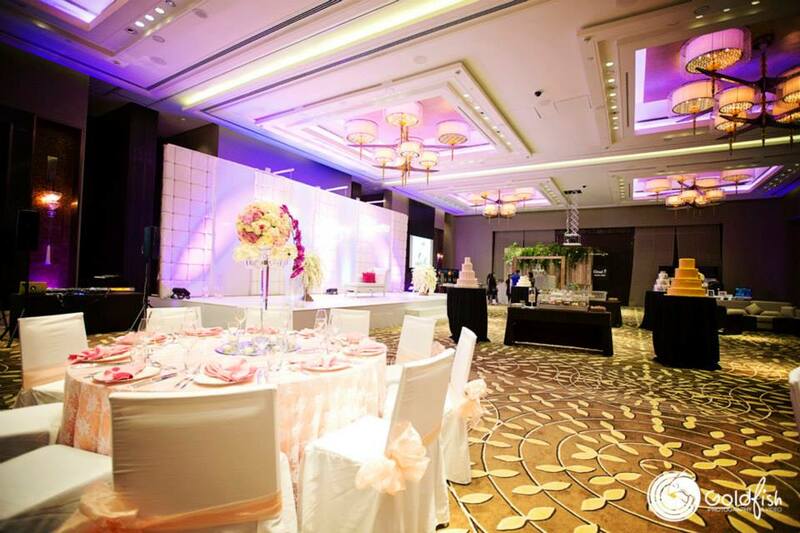 The hotel offers spacious interconnected ballrooms, capable of hosting up to 1,500 people, to smaller rooms that can be configured for intimate soirées and break-away sessions. They also have an outstanding array of versatile and unique outdoor venues, including a 3,500 capacity garden area by the beach.